Marriage is a beautiful experience if you get it right by marrying a lady who understands the essence of life and true life, not just after your money. 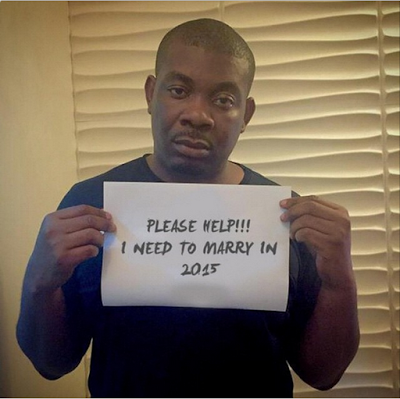 According to Don Jazzy, he has found the right lady he would love to spend the rest of his life with, hence he therefore want other babes to back off. Lol!